Tuck Pointing, Brick and Chimney Repair Toronto | Turnbull Masonry Ltd > Blog > Blog > Can You Paint Brick? Brick is a durable material that can last for years and years, but that doesn’t mean you are going to love looking at the same brick wall forever. Painting bricks can offer a refreshed appearance that really alters the style indoors or out. Can you paint brick? – This all depends. Painting brick isn’t as easy and great as it sounds. Here we provide drawbacks and red flags you should consider before painting brick surfaces. You can paint both exterior and interior brick surfaces, but that doesn’t mean you should. Bricks are often sought after because they come packed with such natural beauty. Each brick has a slightly unique coloring based upon the mixture used to craft it. If you plan to alter this natural quality there are 3 things you must do first so that all goes well. Finding high quality paint is most important; you should use a paint labeled for masonry surfaces. The exact type of paint you use on your bricks will differ depending on the location of the surface. 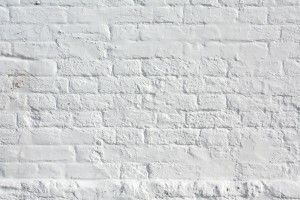 For instance, a porous paint is recommended for use on outdoor brick walls, this grants brick a chance to breathe. Brick must be properly prepped before you can paint it. You want to make sure that the brick is cleaned of all debris, including any white build up of salts known as efflorescence. Avoid acidic cleaning products or anything too harsh; you just want to clean with plain soapy water. After cleaning, the brick should have time to dry before being painted; it can take up to several days for moisture to completely dry out. It’s better to be safe than sorry, you never want to paint your brick with water trapped inside, otherwise damage is sure to form. You will want to use a conditioner and a primer followed by a breathable latex paint (exterior or interior, depending on where the bricks are located), before applying any paint at all. Brick must be free of holes and cracks. All brick damage needs to be properly treated and sealed. 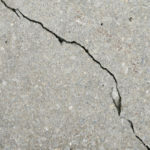 Prior to painting, the lines of mortar that run between your bricks, known as the mortar joints, need to be repaired if they are cracking or crumbling. The last thing you want to do is use paint to cover up molding, deteriorating, or water damaged bricks. Paint is often the “do-it-yourself” fix people turn to, but it’s not a good idea in this instance. For one, paint works as a barrier that locks things like moisture tight inside. When moisture, mold, or other damages become trapped beneath paint, the problem will worsen with time. Another common issue that arises after painting over damaged walls is that the paint chips very quickly, creating another eyesore. 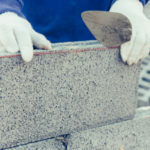 Instead of trying to cover up old, moldy, or cracking brick with paint, it’s important to have a professional take a look at the surface and see what sorts of repairs are necessary. 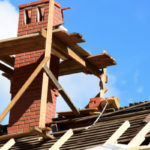 Bricks can usually be fixed individually, but when repairs are put off and damage is ignored or painted over, the entire brick structure becomes compromised, leading to a rebuild instead of a repair. 1. Painting bricks is a big project with a lot of labor involved, and it can’t be done all at once. There is cleaning, prepping and then painting, plus researching to find just the right type of paint based on environment, brick type, and other factors. 2. Bricks are a favorite because they don’t show signs of dirt for many years. If you paint your bricks a light color you will lose this quality. Light colored bricks require consistent cleaning to look fresh. 3. Since bricks are porous, if you paint over them you will never be able to restore their natural look again. 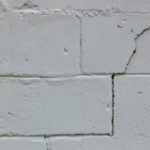 If you try and remove the paint later, you will always see splashes of it trapped in tight corners of the brick. 4. The Brick Industry Association warns that painted brick walls add up to a lot of consistent maintenance. Every 3-5 years your painted brick wall, inside or out, will need a coat of touch-up paint. This is a bit counterproductive considering one big perk to brick structures is that they don’t require much maintenance. Since there are a number of drawbacks to painting bricks, it’s a good idea to investigate your other options. For example, if you are trying to cover up damaged-looking brick, a few simple repairs could make your brick look new again. Or, if you want to enhance the color of bricks, a professional can apply a brick stain. A stain is capable of seeping beneath the surface to change the color of the brick. If you are looking to enhance the appearance of any brick structure, Turnbull Masonry has the expertise to get the job done—we don’t stop until you are satisfied!